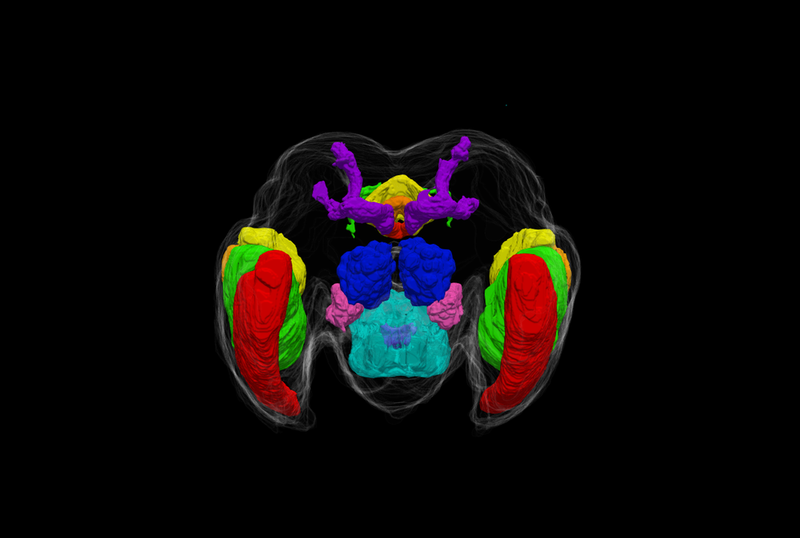 3D reconstructions of a female Aedes aegypti brain stained with the synaptic protein Brp. These were generated from the segmentation in the female brain atlas page using ITK SNAP. 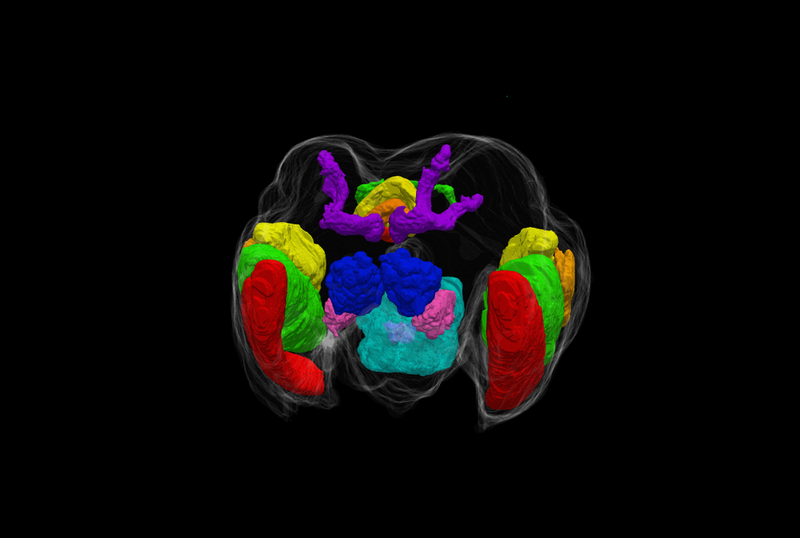 Videos were generated using the free software ParaView.